All grantmaking is predicated on competition between applicants, but most of the time the competition goes on behind closed doors. Not so with the George London Foundation for Singers' awards competition for young American and Canadian opera singers. The foundation hosts an annual Star Search/The Voice/American Idol-like contest and the most recent installation, at least according to the New York Times, didn't disappoint. Of the 23 finalists (from an initial field of 85), six were awarded grand prizes of $10,000 each, and nine received "encouragement awards" of $1,000 each. The rest received honorary mention and $500 each. Which brings us back to the foundation's singing competition. It isn't a complete surprise to see grantmakers loop in the general public during the grantmaking process. For instance, the Knight Foundation Challenge People's Choice Award puts each nominee's video pitch online and lets visitors vote for their choice by text. It's a novel strategy to get the general public engaged in the arts. But the George London Foundation's approach is particularly interesting because of their field of expertise. It's no secret that grantmakers want to make opera more accessible to the general public, particularly younger demographics. And, as you can imagine, their strategies vary. The Andrew W. Mellon Foundation, for example, supports Minnesota Opera's New Works Initiative, which works to introduce opera to new audiences by pulling from contemporary sources (like Stephen King's The Shining) and holding performances in non-traditional opera venues. Mellon also supports the American Opera Project, whose Composers & the Voice program allows composers to give a "test run" to audience members, solicit feedback, and fine tune their work accordingly before their public debut. In a similar vein, the George London Foundation goes directly to the public, and we find it to be a rather shrewd move. The general public loves programs like The Voice, and the foundation's competition fits neatly into this familiar format, thereby—at the risk of resorting to platitudes—bringing opera "to the the people." 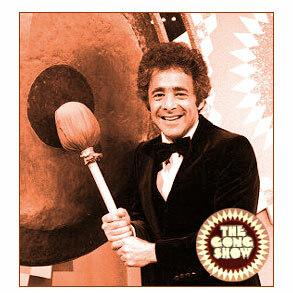 Now if they'd only channel their inner Chuck Barris and employ a gong—then things would get interesting.